If Your Organization is Not Evolving, it is Dying! Is your corporation looking for new and innovative ways to increase profits and employee productivity? Does your 501(c)(3) need to expand your donor base, grant options, and access to volunteers? Is your educational institution doing all that it can to increase the diverse student body, professors and teachers, and administrative staff? Does your small business need a competitive advantage? 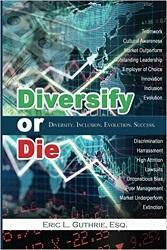 "Diversify or Die is an innovative book about diversity and inclusion. Every executive, manager, supervisor, entrepreneur, and even employees would benefit from the lessons in this very special book. Diversify or Die convincingly demonstrates how diversity and inclusion have a direct impact on the bottom line of every organization, be they for profit or not for profit. Even governments would benefit. Indeed, Diversify or Die posits that organizations must diversify their leadership, employees, vision, mission, communications and marketing or ultimately they will lose out to their competition and eventually die." The author is passionate and has dedicated his life to this book. I recommend reading it. 25 year diversity officer and firm owner: This is a real read... make it happen or "die" as "it" happens to you. Gotta know what you need to know in this most difficult role in all of social advancement professions - chief diversity officer. 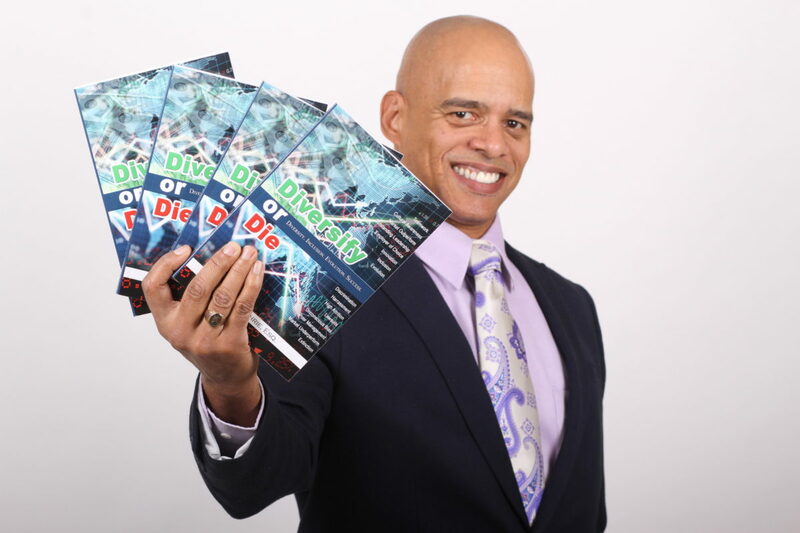 Diversify or Die gives the hard hitting but fair advise diversity professionals and CEOs need to gain comprehensive foresight into the challenges that make diversity leadership both rewarding and terrifying! It's truly a must read and is not for the "feel good," "let's all get along" practitioner. This is a real read... make it happen or "die" as "it" happens to you. This book was very enlightening. It went in depth of how diversifying a company, whether it be in culture, people, or practices can enhance a business's chances of longevity. I really enjoyed the fact that so much insight was given on the different forces that cause businesses to fail. Any business owner or entrepreneur should grab a copy of this book and begin their journey to success. Diversity is the key to staying a step ahead of the competition, and remaining a competitive force in the economy. I thoroughly enjoyed reading this scholarly and intuitive text on diversity and the essential aspects of its relationship to survival and success. Anyone who is in a field where people and information are dominant factors in the metrics of business will benefit from the information gleaned by Mr. Guthrie! As Chairman of the largest ENTREPRENEUR institution in the World 30 year mature CEO SPACE International - the largest lobby in DC for small business and a retired investment banker economist - I found DIVERSIFY or DIE one of the forward reading ESSENTIALS for all leaders who are planning safe harbor for their ventures, their families, and their circles. THE SECRET KNOWLEDGE "is" POWER real POWER is contained in these pages. As a five-time​ NEW YORK TIMES BEST Seller this work carries my highest endorsement.